I'm excited to share with you today an eagerly awaited and vitally important federal court victory for farm animals. A federal judge in California yesterday dismissed a challenge to California's pioneering farm animal welfare law, brought by a group of attorneys general with substantial factory farming industries in their states. The ruling will allow California's law to go into effect at the start of next year, improving living conditions for literally tens of millions of hens in California and other states and providing an incentive for producers around the country to transition to more extensive animal housing systems. Here's the backstory: in 2008, California voters passed Prop 2, a ballot measure requiring that farm animals in the state have enough space to turn around, stand up, lie down and fully extend their limbs. You'd think everyone could agree on those basic standards, but agribusiness groups fought vigorously against the measure. Even though the egg industry and its allies spent more than $10 million to try to defeat the measure, voters delivered a lopsided victory for animal protection, with 64 percent in favor of Prop 2. 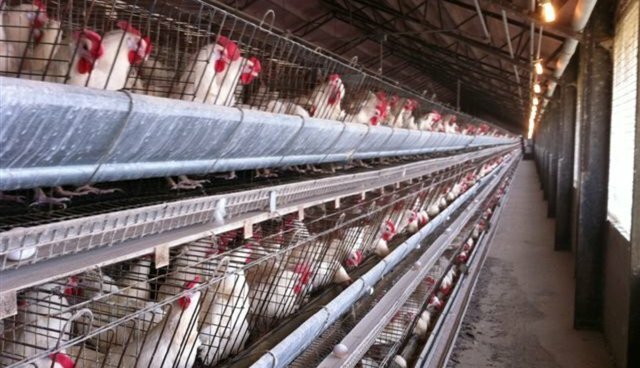 While Prop 2 banned extreme confinement of hens, it did not ban the sale of eggs from hens in extreme confinement. To give the fullest effect to Prop 2's humane and food safety aims, we worked with the California legislature to pass AB 1437, a law to extend Prop 2's standards to apply to all shell eggs sold in the state. Both Prop 2 and AB 1437 gave producers years to improve their operations (they are both set to come into effect at the start of 2015). Yet rather than improving conditions for their hens, some egg producers chose to wait and then litigate. Earlier this year, Missouri Attorney General Chris Koster sued in federal court to try to strike down California's AB 1437. Five other attorneys general and governors from major agricultural states-Alabama, Iowa, Kentucky, Nebraska and Oklahoma-followed Koster's lead and signed on. They alleged that California had no right to set even basic animal welfare standards for the eggs sold in its state. We immediately saw this as an existential threat to farm animal welfare everywhere: if factory farming states could strike down California's basic farm animal welfare standards, they could effectively stop any state from protecting farm animals. So our animal protection litigation team joined with pro bono attorneys from Latham and Watkins and Schiff Hardin topetition the court to let us intervene in the case alongside California. The court, recognizing our unique interest in protecting Prop 2 and AB 1437, granted that request. We argued to the court that California has a legitimate right to protect both the welfare of animals and the safety of its citizens (eggs from battery cages are more likely to be infected with salmonella). We also argued, though, that Koster had no right to be suing California in the first place, since neither he nor the five states that joined him could show that AB 1437 would injure them. Yesterday, Federal Judge Kimberly Mueller agreed. Koster had argued that he was bringing the case on behalf of all Missouri residents. But Judge Mueller didn't buy it, finding, "It is patently clear plaintiffs are bringing this action on behalf of a subset of each state's egg farmers ... not on behalf of each state's population generally." Judge Mueller also flatly rejected Koster's contention that AB 1437 will raise egg prices across the nation, noting, "to the extent plaintiffs argue the implementation of AB 1437 may result in an increase in the cost of eggs, which may injure their citizens who are egg consumers, this argument is without merit." The Court added that Koster's claim that AB 1437 will increase costs is contrary to "the allegations in plaintiffs' [own] complaint" which "point to a potential decrease in the cost of eggs ... which may benefit plaintiffs' citizens rather than injure them." Now that the ruling has come down, it's time for egg producers to prepare in earnest for implementation on January 1, 2015 of Prop 2 and AB 1437. Some egg producers are working diligently to comply with the law and shift their production strategies, with a number of them opting to build major cage-free production systems. Others are dragging their feet, trying to undermine California's law rather than comply with it, with four lawsuits filed to try to strike down Prop 2 and AB 1437. Fortunately, they've lost every time, and now the implementation deadline for the law looms. We are excited about the implementation of Prop 2 and AB 1437, and hopefully it is a big factor in ushering in a new, better, safer era in farm animal protection in our nation. For everyone who cares about farm animals and the proper implementation of Prop 2 and AB 1437, this is a good day.